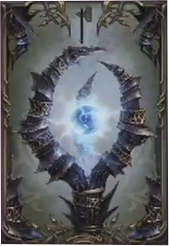 Stare is one of the Hammers Weapons in Lords of the Fallen. Weapons are used to deal damage to enemies, and can be improved by slotting gems or completing specific tasks. Weapons scale with specific stats, giving them bonuses based on your character's parameters. "Success in combat depends largely on being able to intimidate the opponent. Intimidation depends largely on the look. Weapon is a large part of that." for this portal to open). This is the best Faith weapon. I don&apos;t know why you would even mention Clawfinger because they are not in a same league. Best fth build weapon? Or clawfinger?